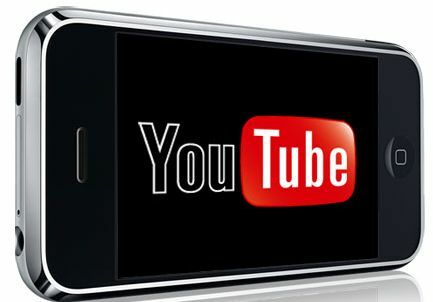 YouTube; the largest video sharing website in the world, has issued some facts regarding some of the most viewed videos of the year and the iPhone has come out high up in the results. According to YouTube, the subject of the Apple iPhone has been one of the most viewed video subjects of the year with hundreds and thousands of videos being uploaded regarding the products. It is also said that out of the five most watched tech review videos on the website, Apple accounted for four of these with the iPhone and their other products. Apple has certainly seen a lot of hype this year regarding the iPhone and some of the most watched videos are videos regarding the iPhone 5. Before the release of the iPhone 4S, a lot of users were predicting the release of the iPhone 5 but were disappointed with the iPhone 4S release. There area number of videos showing peoples thoughts for the iPhone 5 and what they expected it to have in store. 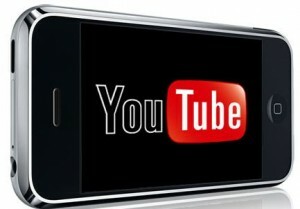 There are also a lot of videos viewed on the video sharing website about the iPhone 4 and iPhone 4S devices. When the iPhone 4S device was released, hundreds and thousands of videos hit the website showing comparisons of the two phones. Other Apple products that accounted for the video views in the tech reviews category this year include the iPad and the new Macbook range. If you love to watch and download youtube video on your iphone, and if you do not like the pre-installed youtube app in your iphone, there is an app called protube, but you need to has a jailbroken iphone to use this cydia app. Some users report us that they’re facing a problem related on viewing most viewed videos in youtube, they said that iphone youtube most viewed not updating. if you get the same issue please share with us here.